The moment she opens the door to her Bandra apartment in a printed red shirt, wide deep blue pants and brown leather chappals, you pick up her zingy vibe. 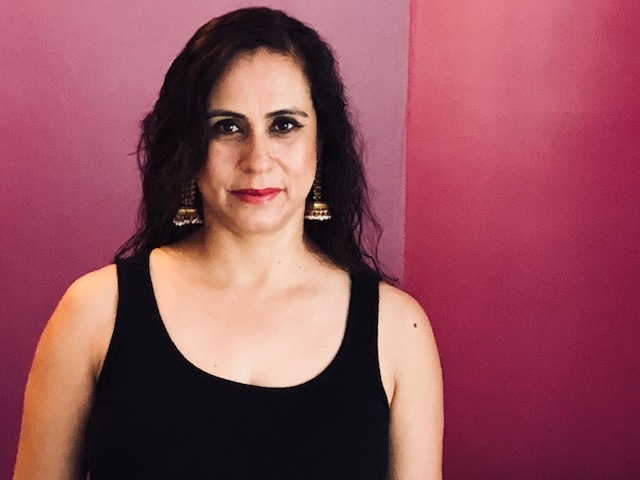 Poornamrita Singh, the costume designer of Made in Heaven (MIH), Amazon Prime’s much applauded web series created by Zoya Akhtar and Reema Kagti that rolls out fat and slim Indian weddings in mirth and style is slender in frame, open and full-throated in laughter. She strikes a friendly note almost instantly. Singh who was also on the costume design team of Akhtar’s recent Ranveer Singh starrer Gully Boy allows the warm glow of her successes to light up her face. 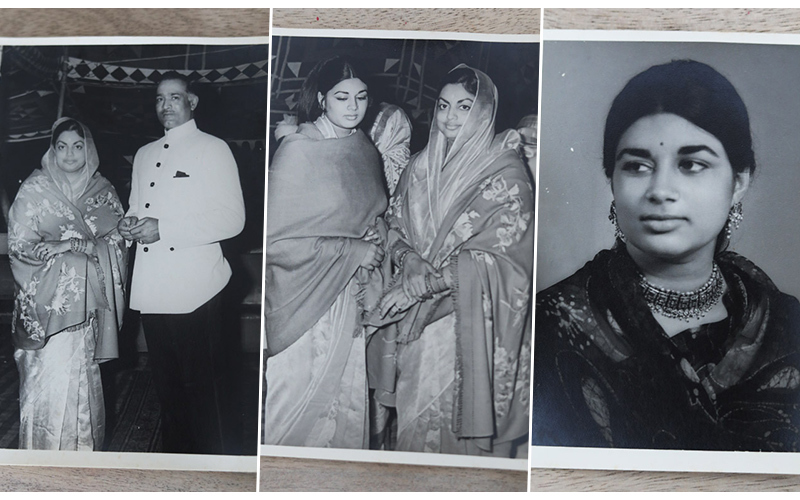 MIH particularly for the way it busted clichés of excess and repetition in Indian wedding dressing and the charming wardrobes of its lead characters. “I was always drawn to art, I love all things vintage; am drawn to old-world charm,” says Singh. She adds she admires Mexican artist Frida Kahlo and on the other hand, Haider Ackermann the Columbian-French designer for his clothes. Within minutes she has opened a window to an evolved layer of her persona. Singh’s apartment has (this may well be a presumptive line), the uninterrupted air of a single girl’s personal space. A painting in progress with a humming bird in its story has been paused on a canvas stand, a red-pink-peach basket sits on the dining table made of unpolished wood, as do brushes and paints, a thermos and sundry household objects. The walls are white but dotted in parts with photographs and other framed artworks. A corner closer to the balcony that looks out at pots and plants and the bustling slice of Mumbai outside has a large, embracing, come-hither couch for one in cream upholstery. Later, when Singh curls into it, legs folded, her spine relaxed, you know this may be her comfort zone. Thirty-nine-year-old Singh was born and bred in an affluent Rajput family in Agra. It is her privileged background, the fact that she was exposed to fine art and a refined aesthetic from a young age that she refrains most from bringing up. While she speaks proudly of her mother’s talent and style and that she was a painter as was her grandmother, she doesn’t want them to be named. It is soon apparent that Singh would rather be known for the choices she made in her life than describe the make of the silver spoon she was born with. “I wanted to explore my life on my own terms instead of living a sheltered existence in the shadow of affluence,” she says. Or as Smriti Sharma Bhaskar, her close friend from her Agra school days says, “Poornamrita was neither a rebel nor a conformist. But she was certainly not a diplomatic Rajput girl.” Sharma-Bhaskar who runs the Flying Elephant Films studio in Delhi was also at one point Singh’s flat mate in Mumbai. Singh puts it in another way. “I was a top ranker in school and college but mostly a sports loving, outdoorsy girl with a mind of my own,” she says of her Agra days. College in Delhi to study English literature followed by a move to Mumbai to study advertising and marketing brought her to the world of advertising, production, cinema and eventually styling as she slowly began to recognize her core skills. “My first film was Reema Kagti’s Honeymoon Travels,” she says but it was my work with adman Prahlad Kakkar’s production house where I learnt a lot of things. 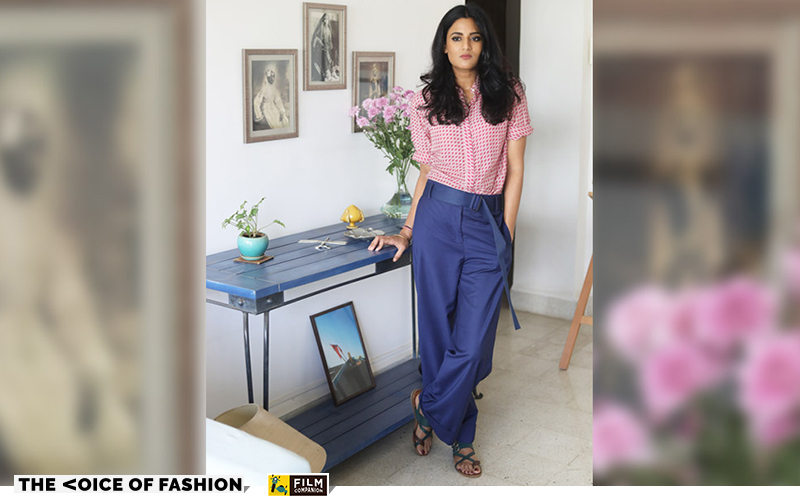 “I was working on the sets, casting, doing an assistant producer’s work, as well as styling and that’s when I realized I enjoyed it and that I should be pursuing it for a career,” says Singh, emphasizing that she didn’t go to fashion school and it is her wander lust that has served her well as a teacher. “That’s also when I learnt to be resourceful,” she says insightfully. Resourcefulness meant opening herself to learn styling on the job by reaching out to well-known film stylist Arjun Bhasin to work under him. “Even if you study fashion styling, you don’t learn anything about a film set unless you are on it,” she says of her work on Honeymoon Travels with Bhasin. One of the inflection points in her work was a cover shoot for Hi Blitz magazine where Singh was commissioned to style actor Kangana Ranaut as different women rulers of India—from Rani of Jhansi to Indira Gandhi. “It was my first magazine editorial and gave me an entry to a different world,” she says. Singh needs to constantly flick back from her face her dark thick hair that has been beautifully styled for our photo shoot. That serves as a useful distraction for her hands as she is an animated person, restless sometimes and chirpy in a way that draws you to her uncanny mix of being guarded yet simultaneously open in her responses. What lent her styling work distinction was evolving her own aesthetic without relying on “fashion”, she says. She neither keenly follows the designer industry, nor is she dictated by trends. She is not a shopper, nor a browser in malls. She loves to dress but doesn’t hoard. “My own style is a mix of classic and bold and I feel pants are underrated compared to dresses. I like the work of Rajesh Pratap Singh, Anavila, Raw Mango, Anita Dongre among some others, but I don’t compulsively follow fashion weeks,” she says. This is also why Singh admires actor Kangna Ranaut’s style. “It is like she has pulled out things from her own wardrobe,” she says. “Poornamrita instinctively understands style,” says her MIH colleague Natasha Nischol the makeup designer of the series. “One knows that she would be turn up glamourous for a party but even on the sets she could be wearing casual and regular clothes yet everything will have been perfectly put together,” says Nischol. A part of the team that created the appearance matrix of MIH, Nischol says she loved the way Singh styled so many couples in the series based on wedding events with memorable looks. A still from Made in Heaven. For Gully Boy says Singh, the styling team sourced a lot from street markets, from chor bazaar in Mumbai, the notorious Friday morning market, where they picked up hordes of clothes for every character in the and just assigned them. 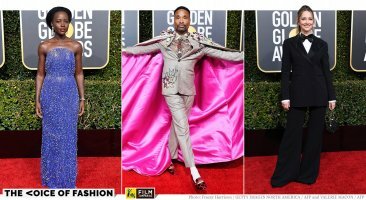 Including for Ranveer Singh. No one got especially designed clothes. MIH was quite the opposite. “The wardrobe of MIH is like a character in the series,” says her friend Sharma-Bhaskar. Its finesse and appeal, confesses Singh, came from not being a slave of formula. She shopped for what she liked and her styling ideas flexed even as she shopped. The clichéd “what next” question seems redundant as Singh agrees to pose for photos against her blue side table, her hair clouding her delicate, pretty face. When she says she is taking her time to decide her next project, it is evident that styling for cinema is her mainstay. “I enjoy creating new characters for cinema instead of making people look nice,” she says about why she doesn’t do personal styling for stars. A job she made for herself in Mumbai.